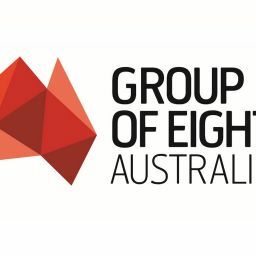 The Group of Eight (Go8), which represents Australia’s leading research-intensive universities, (with six of its universities ranked in the world’s top 100) is frustrated by the Turnbull Government’s attitude to higher education. “It is at odds with the Prime Minister’s much-welcomed public commitment – less than two years ago – to economic growth through innovation, an educated workforce and research,” says Vicki Thomson Go8 Chief Executive. Ms Thomson said it was therefore disappointing to be presented with yet another year’s Budget decisions that do not address the sector’s fundamental issues – namely that the sector must continue to work within a distorted funding model that relies on the fee-paying international student market, external support and philanthropy to cross-subsidise domestic teaching and research – all to make up for the Government funding short-falls. “There are some welcoming elements of the package including the preservation of the Higher Education Participation and Partnership Program, the inclusion of sub bachelor places within the Demand Driven System and the introduction of more sector transparency and accountability – which the Go8 has always supported and remains a sector leader in delivering. “However, we cannot welcome a package which is characterised by cuts to university funding and increases to students, especially given our contribution to the broader economy. “The success of our thriving education export industry rests on its quality and quality requires investment for the long term. This package does not provide a long-term vision for the future which will sustain this success or Australia’s standing. The Go8 delivers more than education. We are about research and scholarship, innovation and engagement. “The Australian higher education sector is a Budget revenue, it is not a budget cost,” she said. “The Go8 contributes strongly to the national economy. It supports 50,000 jobs and it is home to one in three international students studying in Australia. The Go8 spends $6 billion annually on research and undertakes 70 percent of the Government funded research in Australia. We receive $2.5 billion in research funding – so clearly there’s a shortfall. “This year’s decisions do not make our life any easier. We have been doing Budget “lifting” for too many years. It feels as if we are being ask to laud the 2017 package for hurting us less than had been intimated. But the most important facts are there is no pain relief and no reform,” she said.